Probably written in the early 1970s before he started at the Times, Fashion Climbing's most interesting revelations are about Cunningham's early years. But don't expect a tell-all. Even Hilton Als's introduction fails to fill in any blanks about Cunningham's personal life or this manuscript's path to publication. The memoir traces Cunningham's passion for all things sartorial back to his early childhood. He opens with a stark scene in 1933: the day 4-year-old Bill was caught "parading around our middle-class Catholic home in a lace-curtain suburb of Boston" in his sister's prettiest pink dress: "My mother beat the hell out of me," he writes, "and threatened every bone in my uninhibited body if I wore girls' clothes again." That was the opening salvo of his family's unending but doomed campaign to "knock this artistic nature out of me." The brutal incident recalls Oliver Sacks's account of his mother's cruel response to his homosexuality, which resulted in decades of celibacy. Cunningham never addresses his sexuality, but he openly laments his parents' preoccupation with what the neighbors would think and comments, "It's a crime families don't understand how their children are oriented, and point them along their natural way." Written with more enthusiasm (and clichés) than literary panache, Cunningham's memoir is a charming ode to being true to oneself. 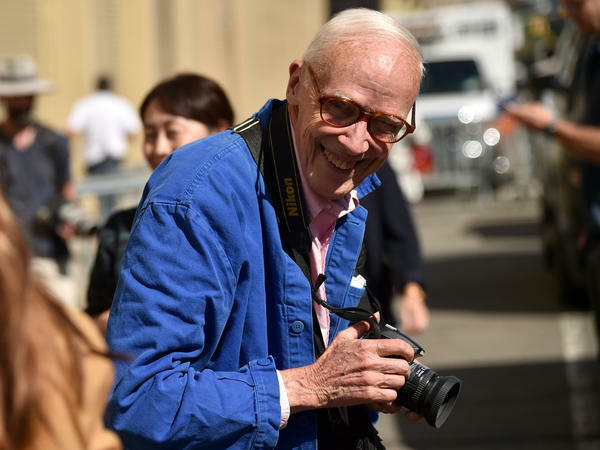 It charts his trajectory up fashion's ladder, beginning as a stock boy at Jordan Marsh and then Bonwit Teller's in the 1940s — an education he far preferred to Harvard, which he briefly attended in 1948. "My head was in a swivel of excitement as I crawled around the gorgeous clothes," he writes with typical exuberance. If Nora Ephron's take-away from her childhood was that everything is copy, Cunningham's was that everything — from gate-crashing charity balls and fashion shows to several years in the army stationed in France in the early 1950s — is educational. He moved from designer retail into millinery design, naming his business William J. to spare his family further embarrassment. His goal, he writes, was "to bring happiness to the world by making women an inspiration to themselves and everyone who saw them. I wanted fashion to be happy — but oh my God, what an idealist I was!" As the fantastic photographs sprinkled throughout this book attest, Cunningham's hats and masks were fabulously outlandish; standouts include a tip-to-toe portable cabana hat for those who, like him, hated the sun, and a beaded, feathered, and gilded extravaganza for a Beaux-Arts costume ball. Neither a wild octopus head-topper nor an oversized clamshell hat sold well — surprise, surprise. A more commercially viable invention was his foldable Fan Hat, which resembles an inverted, pointed cupcake wrapper. To support himself, Cunningham took unglamorous side jobs, including restaurant work. He recalls subsisting on a few tablespoons of Ovaltine a day over one hungry July Fourth weekend. He comments, "When I would feel the pangs of hunger, I would go out looking in store windows and feed myself on beautiful things." Fashion Climbing is a lesson in perseverance. Despite his family's disdain and his "continual frustration" over the gap between artistic and commercial success, Cunningham is remarkably without bitterness. "Thank God I didn't give a damn about money," he writes. He mourns the demise of hats and the subsequent loss of his millinery business in the early 1960s, but moves almost seamlessly into fashion reporting. Cunningham stresses the importance of dressing for pleasure, though it seems what he actually means is dressing up for pleasure. His book makes it clear that he fervently believed that style and a pulled-together look are important. He reminds us that "Constant change is the breath of fashion."